Flamfan, thank you. Hopefully fine images will result from your advice. Here are some Aprilias to entertain you. 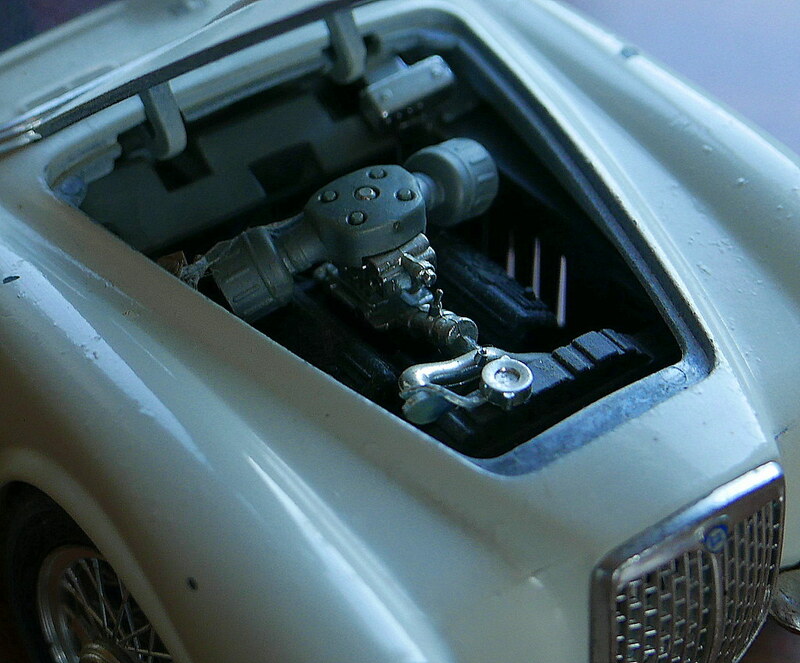 The grey one is an old Mikansue white metal kit and the cabriolet is a resin kit by Gamma. I must do some dusting. You might notice a slight bias towards one particular type of Lancia in my collection! 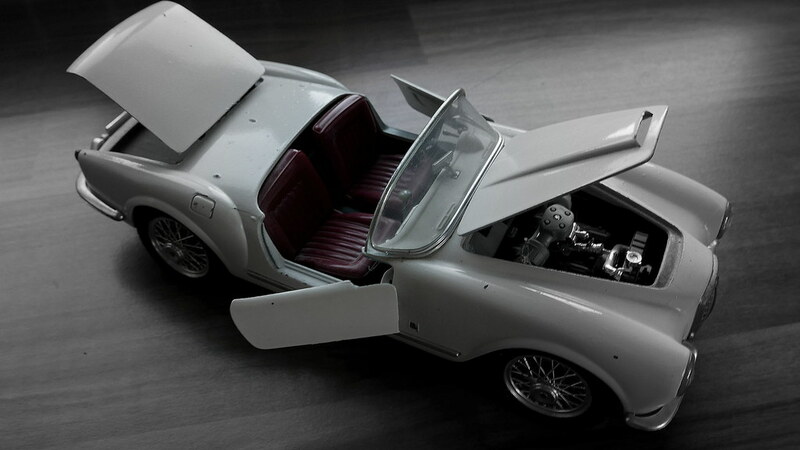 The three 1/18 scale models are from AutoArt, while the 1/43 models are from various manufacturers. The second photo shows that I do deviate from Fulvias occasionally. These are three models I picked up for less than a fiver each at Malaga Auto Retro last year. The Alpine is one of the few non-Lancia cars that I consider worthy to share garage space with my Fulvia (though Santa didn't bring a full-size one this year, despite my request), and what more can be said about the wonderful D24. 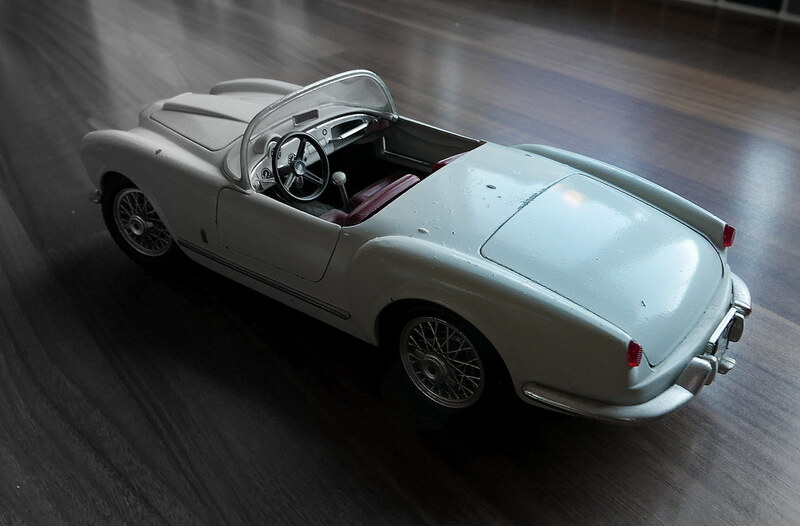 The only model I have is this Automodelli Thema 8.32 one which I got around the time I bought the real thing. Given that was in 1999, I think it's safe to say I won't be building it now so if anyone fancies it, please drop me a message. Here are my a couple of 8:32s. Many, like the black Norev at the front, just have a sticker to outline where the rear spoiler should be. For me any serious model must have the rear spoiler deployed as with the red Kess model. There is a kit on e-bay at the moment asking £107 bt that is completely unrealistic to me. A few years ago a trader had a stack like the one above which he was virtually giving away. The one on Ebay was in France and it had the normal Thema wheels although it was labelled as an 8.32. I think I paid around £70 for the one I have, open to offers on it though. The maker was Burago and is 1/18th scale ( approx 9.5 inches long ). Another B24 spider, this time 1/24, and with the standard wheels. Was quite inexpensive a few years ago, and more faithfully detailled than the Burago. 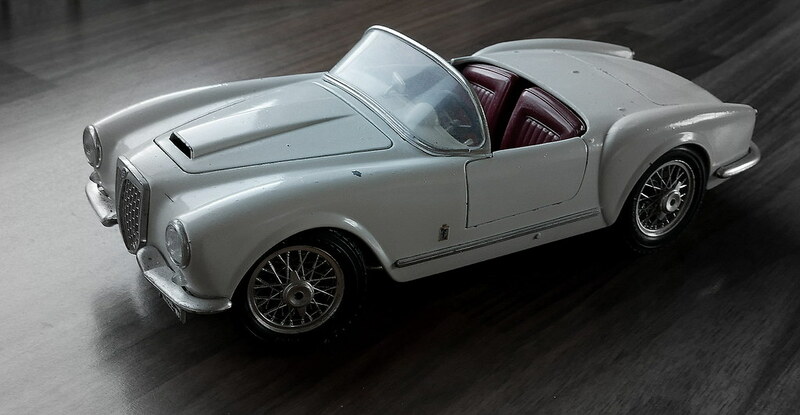 There was a real Aurelia with the Burago wheels but it always seemed a bit odd to me that they chose to model that one.